Crunchyroll is the leading global destination for all the latest and popular anime, enabling customers to stream officially-licensed content directly from Japan across any device. Start your free 30-day trial now. 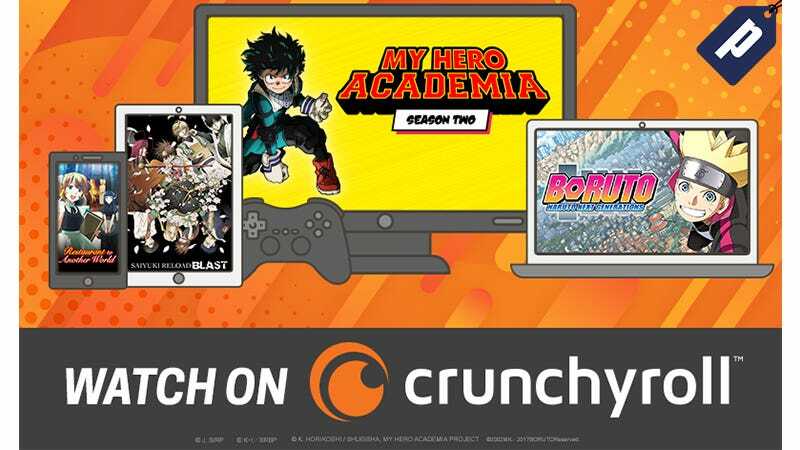 Crunchyroll delivers more than 25,000 episodes and 15,000 hours of anime from leading content creators in Japan directly to viewers globally - the newest episodes of series like My Hero Academia, Boruto: Naruto Next Generations, and Saiyuki Reload Blast streamed just one hour after the Japanese broadcast. All episodes are translated in multiple languages and are available to stream across all devices: iOS, Android, Playstation, Xbox, Chromecast, WiiU, and Apple TV. After one month free, your Crunchyroll subscription is just $6.95/month. Check out hours of popular anime with your free 30-day trial of Crunchyroll Premium. Content availability is subject to geographic restrictions.